Sam Soret, Associate Dean for Public Health Practice, LLUSPH - An Ethical Imperative and a Matter of Effectiveness. How can it be possible, and acceptable, that in the wealthiest nation on the planet, African Americans live an average of six to seven years less than Whites; or that, a Black woman has four times greater risk of dying from pregnancy complications than a White woman? How can the public health profession engage in any type of prevention discourse without addressing such persistent disparities? No public health prevention agenda, no matter how well intentioned, can ignore the structural “sin” of health inequities in our society. In addition to ethical considerations, as a matter of effectiveness, no public health agency, no practitioner, no intervention can afford to overlook the challenge of health disparities with respect to race and ethnicity. The improvement in the public’s health that we strive to bring about as a profession through prevention becomes an unapproachable goal if we overlook its existence. The health outcomes that we desire to achieve through prevention can be effectively attained only by eliminating health disparities. It is precisely the persistent maldistribution of disease burden and poor outcomes across racial lines that place the United States of America behind most other developed nations regarding key public health indicators despite possessing the most technologically advanced and most expensive health sector in the world. The Challenge and the Real Challenge. There is undoubtedly greater awareness today about the need for eliminating health disparities as we strive to implement an effective prevention agenda for the nation. Eliminating health disparities is however a challenge. No single solution will probably remedy the problem because it has no single cause. Biologic and genetic characteristics do not explain the health disparities ethnic minorities experience compared with the White population in the U.S. Disparities are the result of complex interactions among genetic variability, environmental factors, specific health behaviors and crucial social factors or conditions. Some of these social factors are lack of health information; barriers to quality health care; lack of cultural competency on the part of providers; and poverty. Addressing these key factors will be important as we endeavor to eliminate disparities in “health outcomes.” The real challenge ahead, the “elephant in our American, 21st Century room,” is a series of hideous realities about our society: racism, discrimination, and economic inequalities. Changing these ugly social facts necessitates more than reducing economic gaps, improving educational opportunities, or enhancing access to care. Will giving everyone an insurance card eliminate health disparities? What is needed is a profound change of mentality, a type of social transformation that goes deeper into our individual and collective psyches. Whites, Blacks, Hispanics and other racial/ethnic minorities continue to see each other through the lens of race instead of the common humanity we share. This has been corroborated by modern genetics: our cells share a nearly identical genome. The stubborn fact persists however that our social interactions are often shaped by our “phenotypes.” How to go about transforming the way we perceive and approach other human beings looks like a daunting task, but it is the key to the radical social transformation required to eliminate the “upstream” inequities that translate into health disparities “downstream.” As a public health scientist who embraces a Christian worldview, I believe that the structural sin of social and health inequities in our society is rooted in the existential dissonance that results from being estranged from our Creator. This fundamental separation leads to individual as well as social alienation. That is why radical (i.e., addressing the root cause) and complete social justice can only happen through (as theologians would say) “redemptive power,” the love-driven restoration of the broken, primeval creator-creature bond, and by extension, the healing of all other existential connections. This particular philosophical view which informs my action as a public health professional vis-à-vis the problem of health inequities does not preclude my engagement in honest and meaningful inter-professional collaboration with colleagues and organizations which, while subscribing to a different world view, pursue the same objective. Collaboratively pursuing a common goal with my “secular” colleagues and friends becomes an intellectual bridge to share with them the worldview which informs my proposition regarding the root cause and ultimate solution to the problem, and which underpins my work directed at achieving social and health equity. One thing is for sure, we will not be able to achieve such social transformations if we keep working under the current silo paradigm. 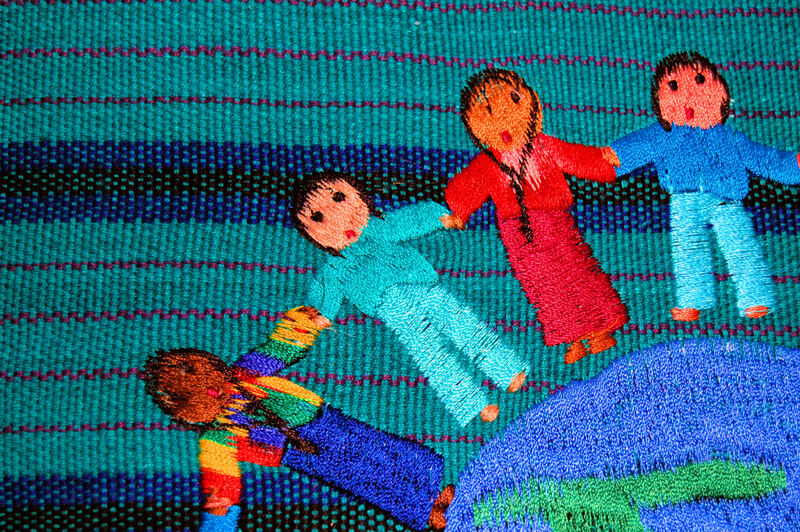 People’s lives cannot be “compartmentalized.” We need to work on prevention in a comprehensive and multidisciplinary manner, bringing experts, practicing professionals, health care organizations and communities together in order to create the type of synergies that may bring systems into balance so that ethnic minorities and socially disadvantaged communities in general will not have to pay such heavy health toll.